By prioritizing the older adults' goals and values, Aging Life Care Managers® help families and their loved ones age well. Person-centered care is the idea that a person’s perspective, goals, and values should be at the forefront of their medical care. This method focuses on providing “thoughtful, systematic, and incremental” approaches to a patient’s health plan. It is now being recognized that placing the patient at the center is one of the more effective ways to promote positive health outcomes, as highlighted in two new articles published in the Journal of the American Geriatrics Society (JAGS). Health and Disability – From physical problems to mental health and dementia-related problems, Aging Life Care Managers interact with the health care system effectively and frequently. Aging Life Care Professionals attend doctor appointments and facilitate communication between doctor, client, and family. Financial – Services may include reviewing or overseeing bill paying or consulting with a client’s accountant or Power of Attorney. 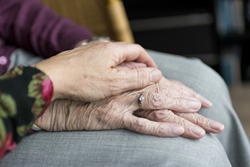 Aging Life Care Managers provide information on Federal and state entitlements, connecting families to local programs when appropriate. They also help clients and families with insurance concerns, claims, and applications. Housing – Aging Life Care Managers help families and clients evaluate and select appropriate level of housing or residential options. Families – Aging Life Care Managers help families adjust, cope and problem-solve around long-distance and in-home caregiving, addressing care concerns, internal conflicts and differences of opinion about long-term care planning. Local Resources – Aging Life Care Managers know the local resources in their communities and can help connect clients with the appropriate services. Advocacy – Aging Life Care Managers are strong and effective advocates for clients and their families, promoting the client’s wishes with health care and other providers, ensuring that client’s needs are being adequately addressed. Legal – Aging Life Care Managers refer to legal experts, like elder law attorneys, estate planners, and Powers of Attorney. Some provide expert opinion for courts in determining level of care and establishing client needs. Crisis Intervention – Aging Life Care Managers offer crisis intervention when it is needed, helping clients navigate through emergency departments and hospitalizations, rehabilitation stays, and ensuring that adequate care is available to the client. For families that live at a distance, this can be a much-needed 24/7 emergency contact. If you or your loved one needs care management services, visit the Aging Life Care Association® at http://www.aginglifecare.org to find an expert near you. ABOUT the Aging Life Care Association ® (ALCA): ALCA (formerly known as the National Association of Professional Geriatric Care Managers) was formed in 1985 to advance dignified care for older adults and their families in the United States. Aging Life Care Professionals® have extensive training and experience working with older adults, people with disabilities, and families who need assistance with caregiving issues. They assist families in the search for a suitable nursing home placement or extended care if the need occurs. The practice of Aging Life Care™ and the role of care providers have captured a national spotlight, as generations of Baby Boomers age in the United States and abroad. For more information or to access a nationwide directory of Aging Life Care Professionals, please visit http://www.aginglifecare.org.